LED “Hello My Name Is” Name Tag Kit! The time of the year for fun little projects. 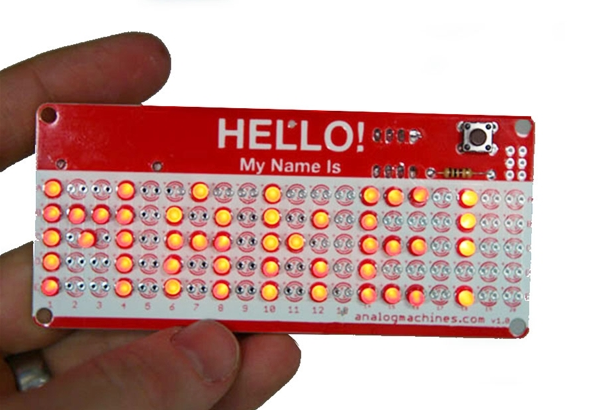 Enter the LED “Hello My Name Is” Name Tag Kit.From the fine folks at MAKE. Quick little kit allows for you to put up to 5 characters, make them, pulse, flash or fade in and out. A simple kit perfect for any entry level geek on you shopping list! 19.99… Come on how cool is this? A do it yourself XMAS gift!